Travelers can play three of the region's top championship courses, including Royal St. George's. If you're craving an Open Championship-worthy links experience this October but can't envision leaving the man cave during NFL prime time, we've found a solution. Carr Golf, one of the industry's leading tour operators for trips across the Atlantic, is offering a travel package that pairs NFL football with links golf, an unlikely but amazing combination. With the Golf & Gridiron Experience, golfers get to play three of the finest links in Britain as well as attend a regular season NFL game as the league continues the London experiment that began in 2007. Options include the Indianapolis Colts vs. the Jacksonville Jaguars on October 2, 2016 at Wembley Stadium; the New York Giants vs. the Los Angeles Rams October 23 at Twickenham Stadium; and the Washington Redskins vs. the Cincinnati Bengals on October 30 back at Wembley. Attractive matchups, all, yet the golf offerings might just be better. For starters, you get a 13-time Open host course, Royal St. George's, with its imposing sandhills and quirky bounces. Open Championship winners at this prestigious club include Harry Vardon, Walter Hagen, Greg Norman and most recently, Darren Clarke in 2011. 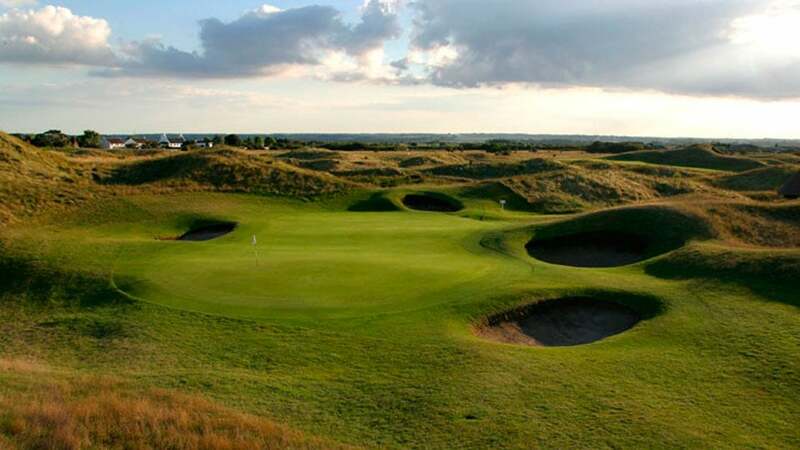 You'll also play Royal Cinq Ports, considered one of the U.K.'s favorite hidden gems by course connoisseurs. Also known as "Deal," for the town where it resides, this ancient, 124-year-old links played host to the Open in 1909, when one of the Triumvirate, John Henry Taylor, took the claret jug and in 1920, when the winner was George Duncan. Your third round is at Princes, which shares the same stretch of coastline as Royal St. George's. Gene Sarazen famously won the 1932 Open Championship here after unveiling his new weapon, the sand wedge. Now 27 holes, Princes was substantially rebuilt following World War II and it now offers stay-and-play opportunities. Package prices for the Golf & Gridiron Experience start at 1,600 pounds ($2,125 plus game tickets) and features luxe accommodations at the Lodges at Princes and at the Marylebone Hotel in London, plus a luxury coach and driver, in addition to the golf and football. Open Championship links golf and American NFL football? We hear London calling.